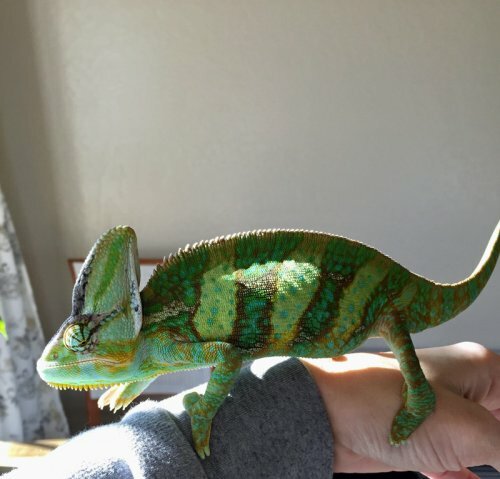 Why does my veiled chameleon look dull? 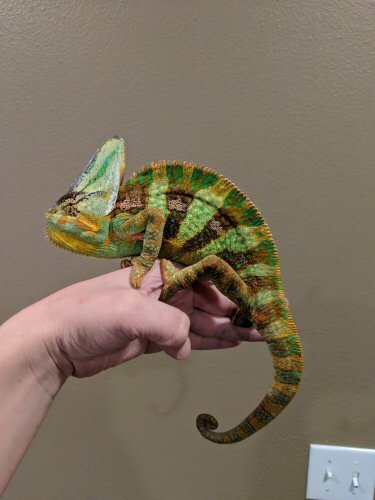 I’ve noticed my chameleon looks kind of dull in color. He’s not completely grey, but he’s not super colorful like he is while sleeping. Could just be how he is. Mine has his moments but is generally dark too. Here is is when he does decide to lighten up. 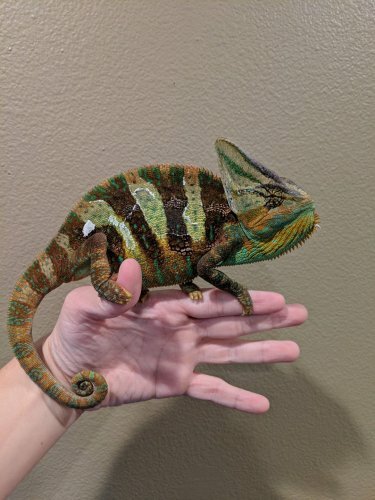 Mine will generally dull out a little in color within a few days of a shed. 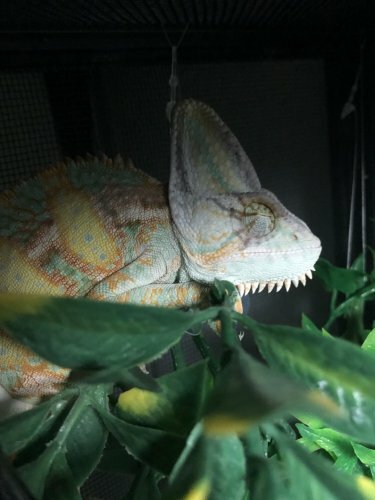 However I see most of his darker colors when he is trying to soak up heat. 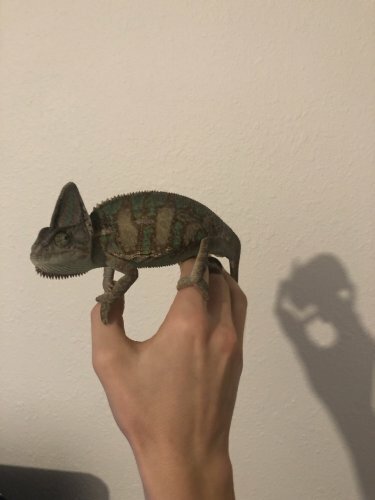 This one I had just put him back in his cage... He always goes really light and bright. He is either stressed/unhappy or cold, have a read of the caresheets here and ensure his temps are as required. I know he’s not cold because the temperature is normally around 70-75 degrees. But could you gives me examples of why he would be unhappy? 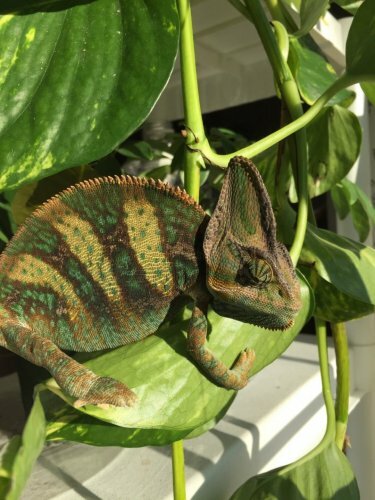 Is your ambient temp 70-75 or is that his basking temp? Stressed colors can be anything related to your husbandry. A change in environment. 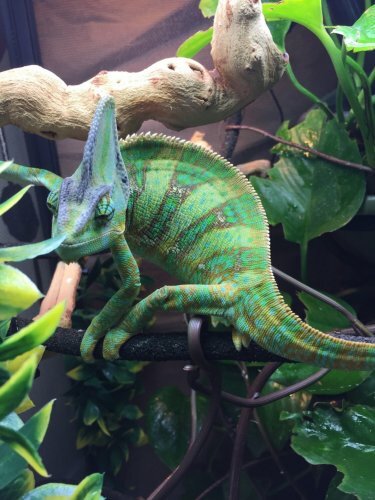 You could fill out the help form in detail below and add pics of your entire enclosure lights to the bottom if you would like people to provide more help. Did you fix the temp at all?